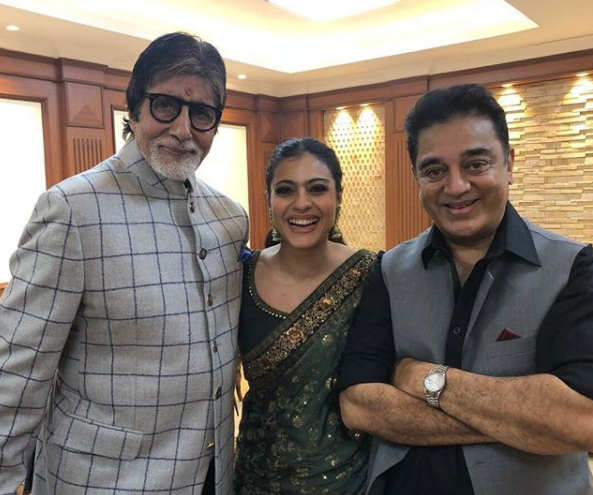 Kamal Haasan talks about his fondness for Amitabh Bachchan and Kajol. “Please spare Kajolji. I am not a fan of selfies. Though I am a fan of them both. Troll not a kind gesture,” he added. Kamal and Amitabh have together worked in films like “Khabardar” and “Geraftaar”.